We may love to snack on giant hot dogs and pretzels when doing our shopping at Costco, but there’s a new healthy option coming to the menu that sounds pretty intriguing. 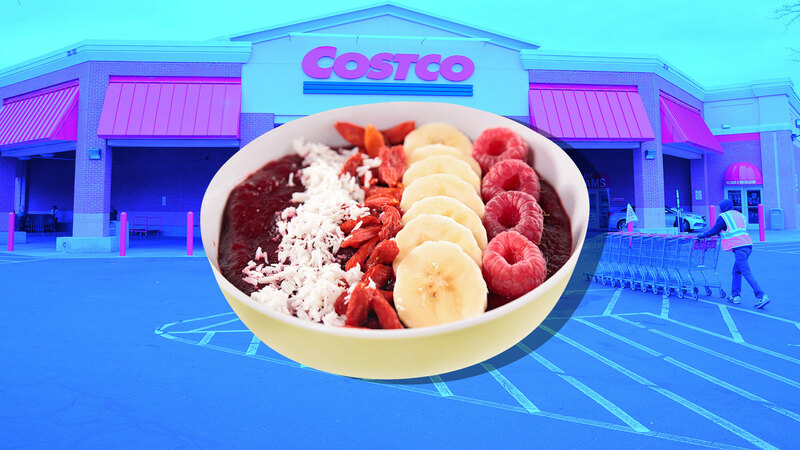 Costco has been offering acai bowls on their menus in California, Oregon and Hawaii for quite a while — obviously, they had the audience for it in those health-minded spots — but, according to Delish, those bowls will be available at all locations nationwide by the end of June 2018. The bowls offer an opportunity for a healthy addition to a menu we normally know to include items like giant churros, pizza and hot dogs. Acai bowls are a Brazilian dish mostly comprised of frozen and mashed acai palm fruit that is then topped with other fruit and granola. Consider it like a poke bowl in concept, but with fruit. The bowls at Costco are topped with chain’s signature brand of granola, Kirkland, as well as fresh blueberries and strawberries, which are great sources of antioxidants, and also as banana chips. There is a fair amount of sugar too, but if you are choosing between an acai bowl and their giant churro for breakfast, the healthier choice is clear. It’s all about moderation, of course. And even better, since this is Costco, the bowl will sell for a cool $5. If you work at Costco and buy meals there daily, this may end up being a big help.